HONEY WE SHRUNK THE TONE!! An updated take on the original High Road Fuzz, this pedal is the size of our Golden Fleece but with the same beautiful aesthetic designed by Roberta Landreth and tone of the original. 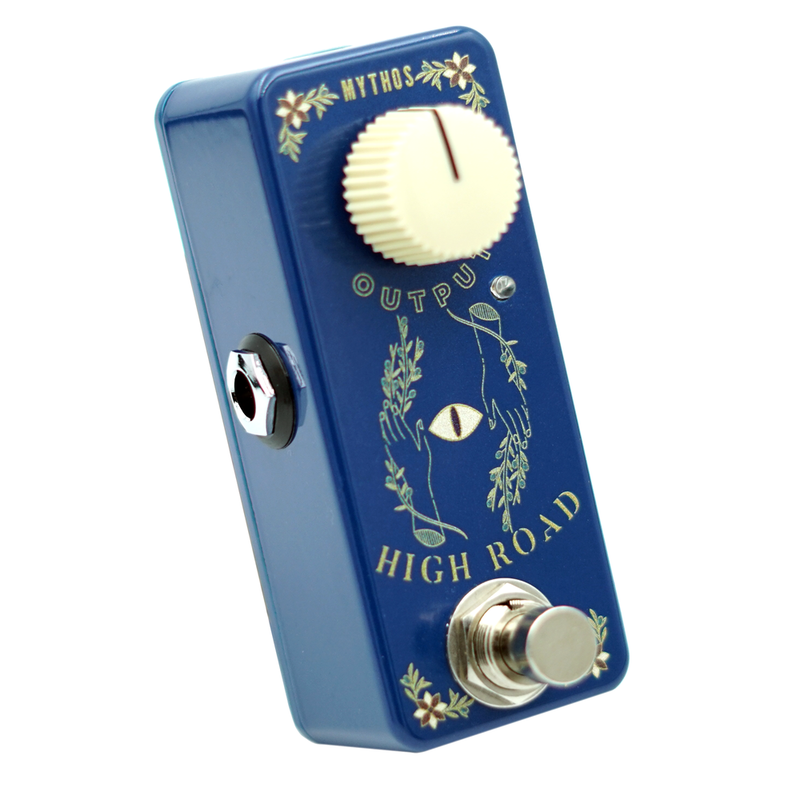 Designed in collaboration with Joey Landreth for the release of his newest single "Forgiveness" (Listen Here) the High Road Fuzz was designed to give you the focused tone of Silicon fuzzes of yesteryear with the reliability of a modern build. The single "Output" control sets your overall volume and you control the fuzz level and tone with your guitar controls. Joey asked for a fuzz that also has that high baised spitty tone that some vintage fuzz units have and we think the High Road Fuzz really gives you that in spades! Mini Version Videos coming soon! But the tone is the same as the videos below!